Conditions of Use: The material within these papers is published free for your non commercial use. All we ask is that the source (Tech Partners Consulting at www.techpartners.net.au) be acknowledged. If you are using the material to derive a consulting income or professional fees, we ask that you contact us beforehand. 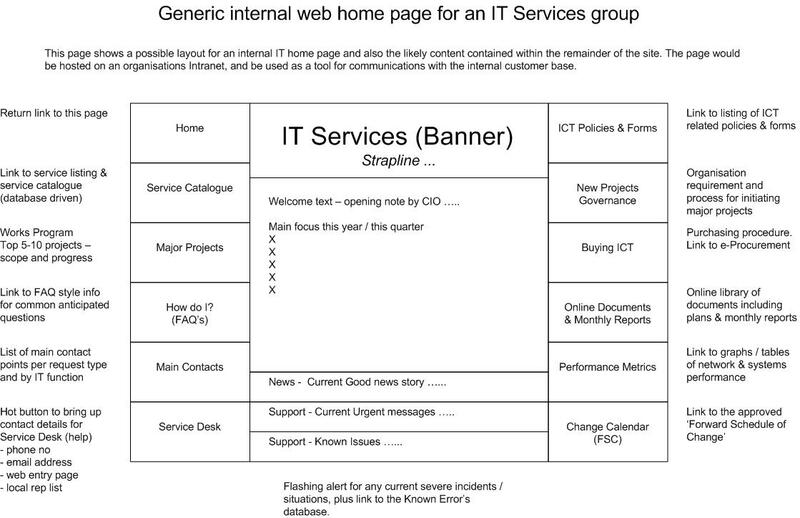 The following model is offered as a starting point for ICT departments who are planning to establish or improve their website. Click for the model diagram.